A few weeks ago a school group from Ludwigsburg in Germany visited our galleries and Labour History Archive and Study Centre to find out more about our World War I collections and the history of the labour movement around World War I. History teacher Joerg also asked if we wanted to participate in a series of mini-exhibitions the school were curating which involved people giving them material to display in ‘guest suitcases’. Due to the amount of two dimensional items we have relating to World War I, we decided to make some replicas of a selection of items, which the group could display back in Ludwigsburg, and keep after the display was taken down. 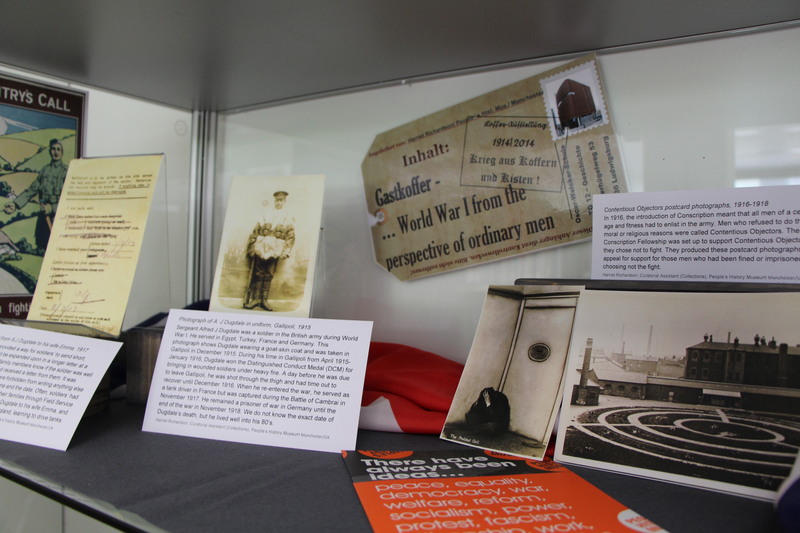 People’s History Museum gave the school, Oscar-Walcker-Schule, two replica photographs of Ben Tillet, a Salford MP visiting the Ypres in 1918, two replica conscientious objector postcards produced by the No-Conscription Fellowship and replica material from our Dugdale collection. Sergeant Alfred J Dugdale was a soldier in the British army during World War I and his collection of WWI material was donated to the museum after his death. During the war, Dugdale served in Egypt, Turkey, France and Germany. While stationed in Gallipoli in 1915, he won the Distinguished Conduct Medal (DCM) for bringing in wounded soldiers under heavy fire. At twenty-four, he was one of the youngest British soldiers to be given this accolade. A day before he was due to leave Gallipoli in January 1916, he was shot through the thigh and had time out to recover at home. In 1917, he was captured during the Battle of Cambrai and remained a prisoner of war in Germany until the end of the war. 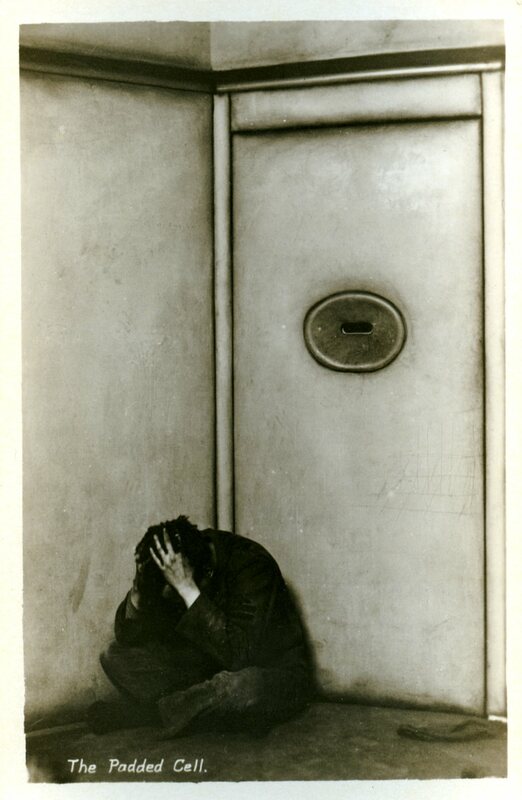 Following the end of the war, he was admitted to hospital in Cologne to recover from the influenza epidemic. We do not know the exact date of his death, but he lived into his 80’s. 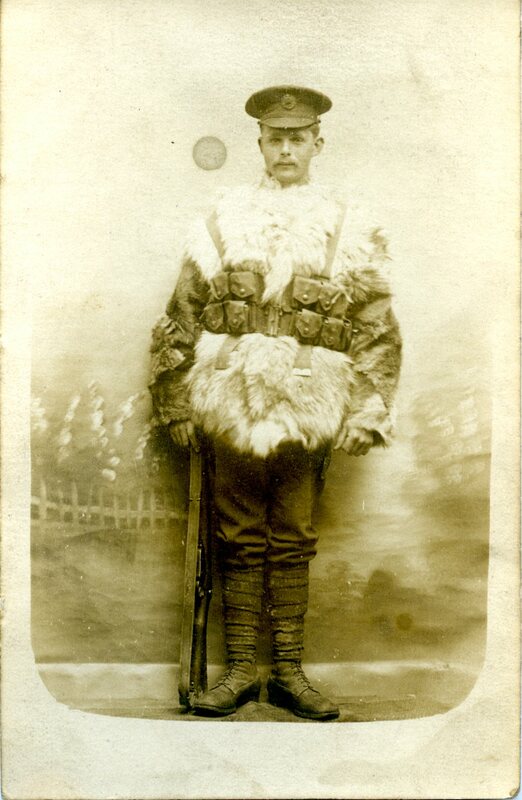 Amongst replica items given to the school were a photograph of Dugdale wearing a goat-skin coat in Gallipoli in December 1915 and a field service postcard sent from the front to his wife, Emma. Field Service postcards provided a way for soldiers’ to send short, simple messages that could be expanded upon in a longer letter at a later date. The postcards let family members know if the soldier was well or injured, and whether they had received a letter from them. It was strictly controlled, and soldiers were forbidden from writing anything else on the postcard other than their name and the date. 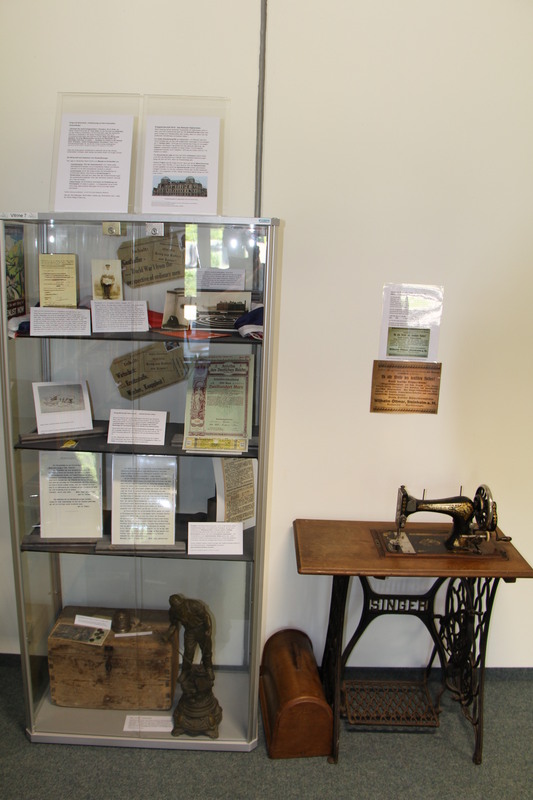 Jeorg kindly sent us some images of our ‘guest suitcase’ display at the school and tells us it has been well received. We are thrilled to have some of our World War I items on display in Ludwigsburg! This entry was posted in About Us, Exhibitions, Labour History Archive & Study Centre, Learning, People's History Museum, PHM Collection, Photographs and tagged Ludwigsburg, People's History Museum, PHM Collection, World War I. Bookmark the permalink.